The sea cadet uniform must be ironed and kept clean. 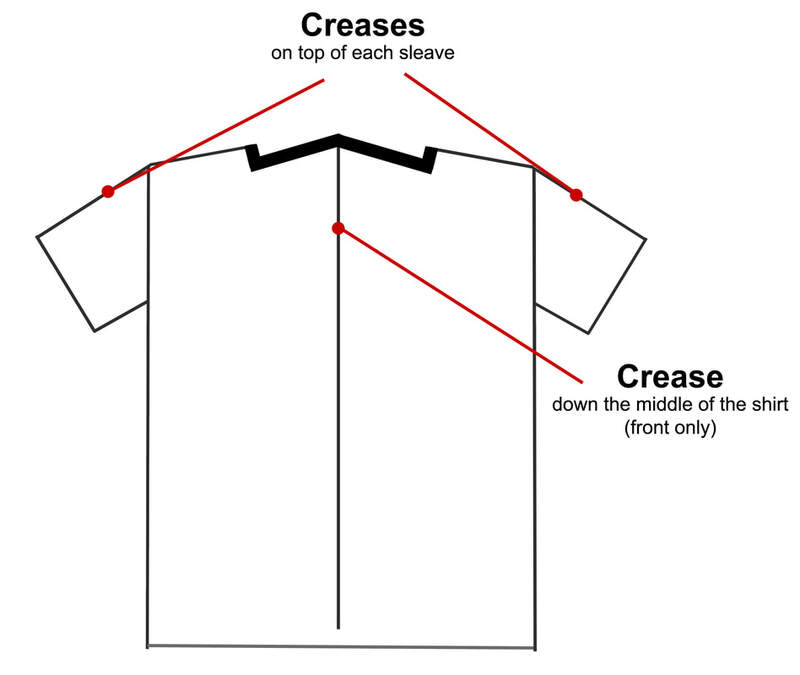 Learn how to iron your uniform here! The Gun Shirt has 3 creases in it. One in each sleeve on the top and the third running vertically down the middle of the front. There are no creases in the back of the shirt. The use of starch is recommended to achieve a sharp crease. But make sure to use an ironing cloth as the iron will burn the starch and leave white residue behind. The pants have 4 creases in them; 1 in each leg front and 1 in each leg back. The use of starch and\or water is recommended to achieve a sharp crease. Be sure to use an ironing cloth otherwise the pants will become shinny.